The 20,000-square-foot, wedge-shaped building features a design by Portland-based Skylab. 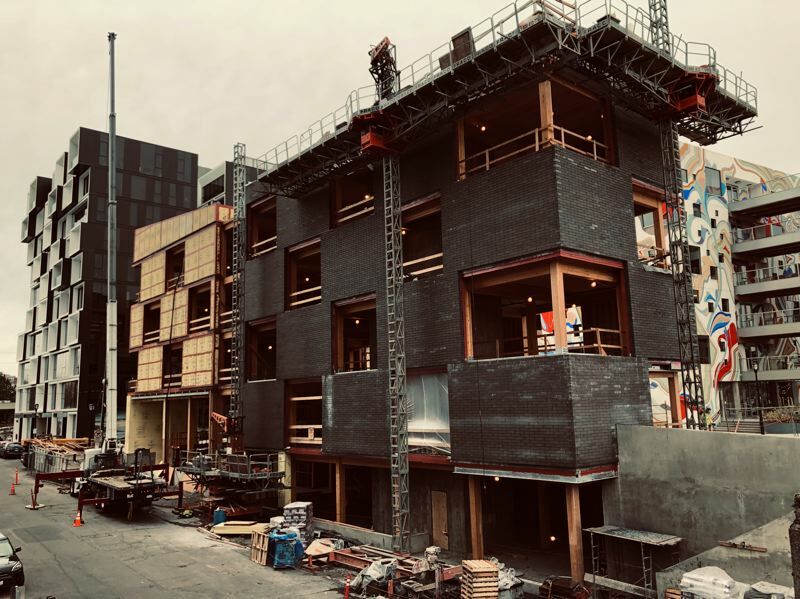 Located near Skylab-designed Yard and Guerilla Development's Fair-Haired Dumbbell at the east end of the Burnside Bridge, the 20,000-square-foot, wedge-shaped building will feature a storefront along Southeast Third Avenue with work spaces above wrapped in brick masonry. The project includes an update of pedestrian stairs from the bridge level to Third Avenue.